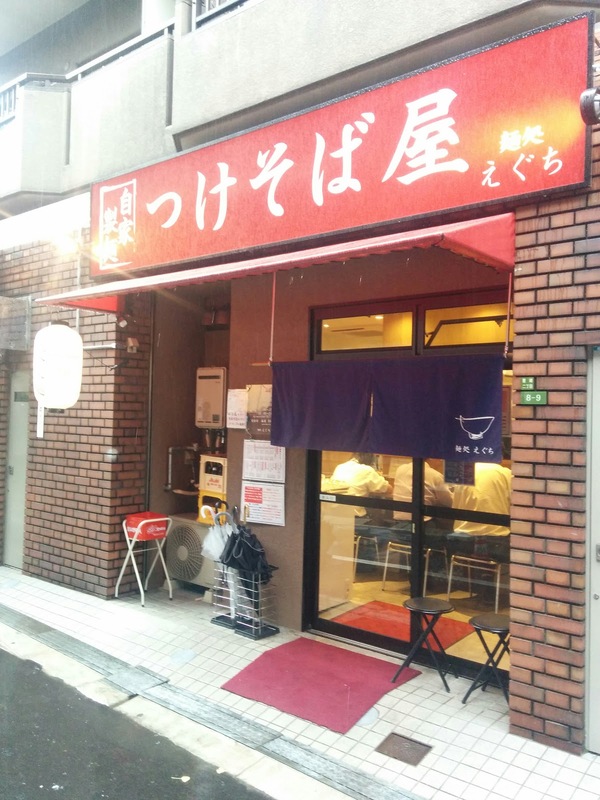 One of the most famous tsukemen shops in Osaka just happened to open a shop right by where I work! It replaced a mediocre-at-best curry udon shop, so this was a win-win. Many moons ago I visited the Esaka flagship shop of Eguchi, so I knew what I was in for, and I didn't feel bad for ordering the spicy tsukemen over the standard one. Just like the flagship, this was a thin and easy to drink seafood soup tsukemen. The broth was quite red, but the spiciness was light and tingly overall. 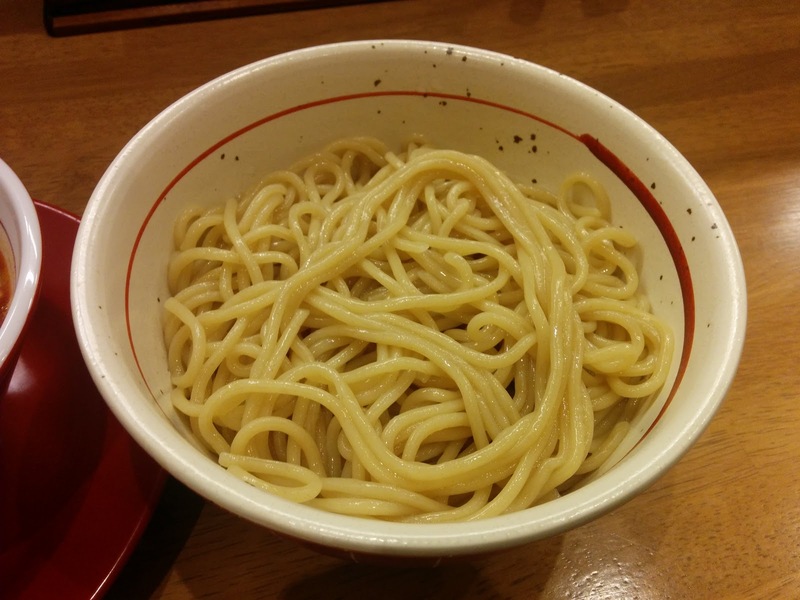 I appreciate Eguchi's choice of shiny, slurpable noodles that are thick, but not too much for their broth. 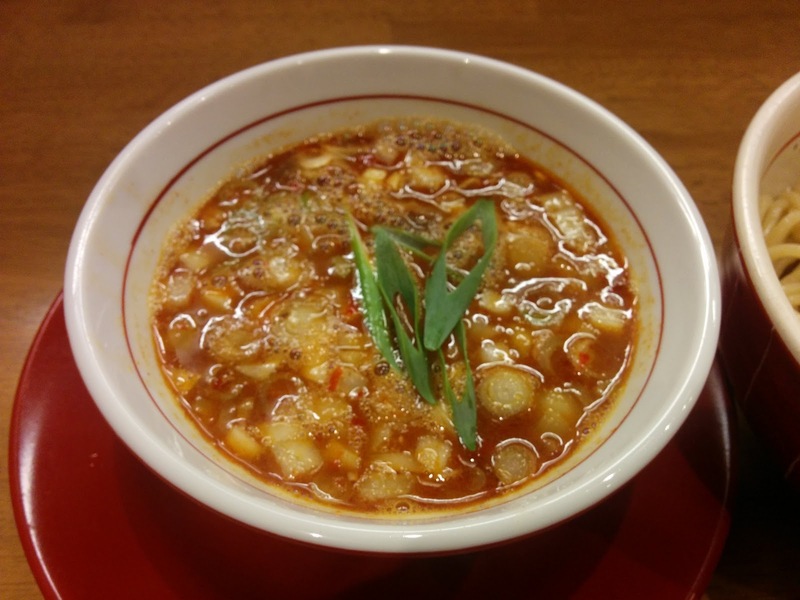 The menma and chashu were both decent enough, but the draw of Eguchi remains the refreshing never-gets-old soup. 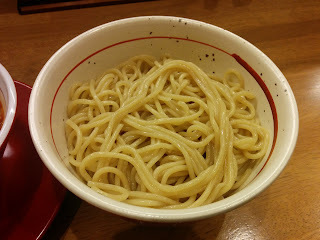 Compared to most of the heavy tsukemen you find in Osaka, Eguchi is a welcome change of pace. Anyone looking for an easy to drink tsukemen should come here.